Gluten is a type of protein found in wheat, rye, barley and related grains, such as spelt and farro. It may also be added to processed foods as a thickening agent. When you have celiac disease, your body reacts negatively to gluten, resulting in damage to your small intestine. This disease affects about 3 million people in the United States, but as many as 18 million additional people may have a nonceliac sensitivity to gluten, reports the National Foundation for Celiac Awareness. When you need to eat a gluten-free diet, beans and bean flours are excellent choices to incorporate into your meals. All beans are naturally gluten-free. This includes kidney beans and chickpeas, as well as lentils, soy and peas. 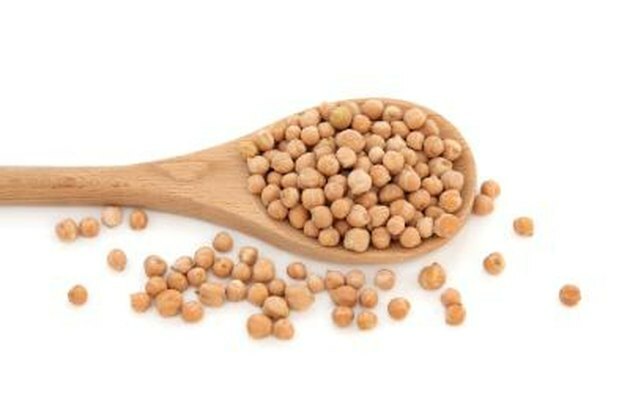 In fact, some gluten-free recipes for baked goods use chickpea flour – also called garbanzo bean flour or besan flour -- as a stand-in for regular wheat flour, with 7/8 cup of the bean flour replacing 1 cup of the wheat variety. Although beans themselves contain no gluten, watch out for dishes, particularly at restaurants, that may combine these legumes with gluten-containing ingredients. Chickpea burgers, for example, may be held together with bread crumbs and would not be gluten-free. In addition, some processed foods, such as soy sauce, broth and salad dressing, have gluten, so mixing them with beans could produce a reaction in people with celiac disease or gluten sensitivity. Read ingredient lists carefully before using gluten-containing food products in your bean dishes.